This book provides a straight forward and easy to use guide to the beginner and seasoned mechanic/engine tuner. The book explains the fundamentals of electronic engine tuning in an easy to follow and linear manner. The reader can go chapter by chapter or skip to whichever section interests them. The book begins with an introduction to Electronic Engine Tuning and covers the tools necessary for electronic tuning, the software required and other basics. The book then takes an in depth look at Fuel Injection, Ignition, Boost Control and Water Injection from the point of view of the electronic tuner. 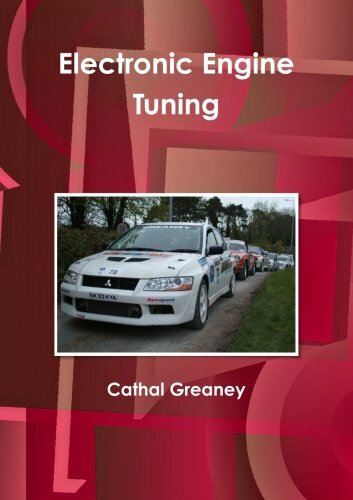 There is a dedicated chapter dealing with tuning for different fuel types and octane levels. Finally, I wrap things up by discussing the fundamentals of 1 dimensional and 2 dimensional mapping and providing a checklist for the beginner tuner to use when setting up an ECU on a new engine.